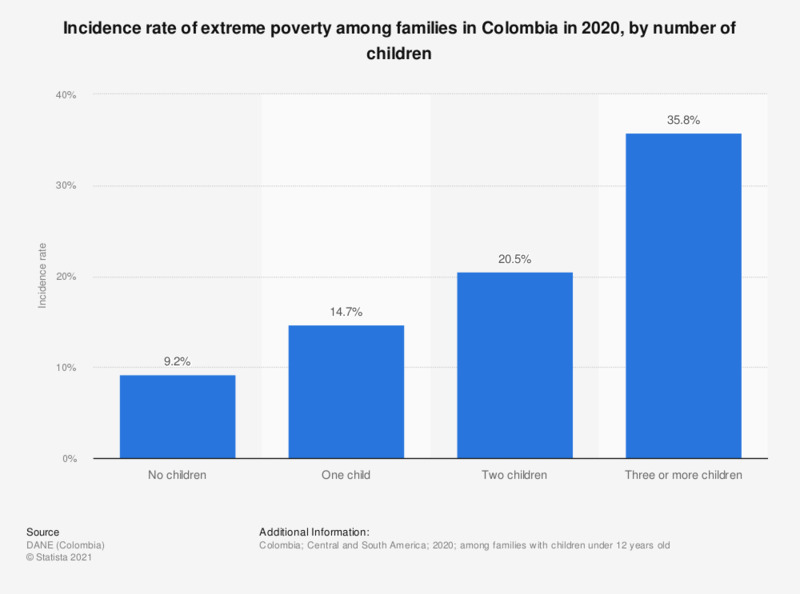 This statistic illustrates the incidence rate of extreme poverty among families in Colombia in 2017, broken down by household type. In 2017, nearly 24 percent of the population living in a household with three or more children under the age of 12 lived in conditions of extreme poverty. Among families with children under 12 years old.